We continue across the vast dry plains to the small Tibetan town of Zhongba. We stop in briefly in Dargyeling monastery that lies 42 km/26 miles from Saga. The road condition from Zhongba deteriorates due to invasion of the sand dunes from either side of the road but we have photogenic views of the sand dunes, lake and mountains comes in 60 km from Zhonba. We camp tonight in Paryang. Today's drive involves crossing of several sandy rivers ( Most rivers have bridges now) but has some of the most panoramic scenery of the trip. We cross a high pass of Mayum-la (5216m/17108ft) .Our crews will set up camp by the sacred Manasarovar Lake -which according to Hindu mythology was formed in the mind of Brahma-the creator of the world. Today, we will have the first glance “Darshan” of holy Mt. Kailash from Horqu. Most travelers camp here in Horqu due its close proximity to the trailhead. Overnight guest house with dome room. Finish trek to Darchen. We have lunch at Darchen and we prepare for 3 days trekking next 2nd Kora.Drive to Lake Manasarovar overnight guest house with dome room. Day 14 : Drive back to Lhasa via north road 280km driving 6 hours. Day 15 : Drive to airport End of Tibet tour. Arrival in Gonggar Airport of Lhasa. You are met and greeted by our representative and drive to Lhasa City (1hr). Check in hotel and take rest for acclimatization. You will experience mild symptoms of the altitude sickness such as headache, dizziness, disorientation, breathlessness etc but it should go away in a day or two. Please, drink plenty of water and consume liquid food. Accommodation in middle. After breakfast, we will visit the Pelkor Chode and Kumbum Monastery-the main highlights of Gyantse City. Kumbum Stupa is the landmark of Gyantse and can be spotted from a long distance. If you are a hiking enthusiast, you may also attempt hiking the historical fortress of Gyantse. View from the fortress over to the city is just superb. From Gyantse, its less than 2 hrs drive to Shigatse, the second largest city of Tibet. About 13 miles (20 km) before Shigatse, we take 4 km side trip of Shalu Monastery-the first of the major monasteries to be built by noble families of the Tsang Dynasty during Tibet's great revival of Buddhism, and was an important center of the Sakya tradition. Upon arrival in Shigatse, we check in hotel and later take a relaxing walk through the Shigatse's Flea market which is a nice bargain place for Tibetan souvenir. Day 07: Drive to Saga 220km driving 6 hours 4460m, via breathtaking view of Shisha Pangma and Peiku Tso lake. Altitude 4750m/14,891 ft, distance: 542km/ 340 miles, drive about 10-12 hrs drive. We continue across the vast dry plains to the small Tibetan town of Zhongba. We stop in briefly in Dargyeling monastery that lies 42 km/26 miles from Saga. The road condition from Zhongba deteriorates due to invasion of the sand dunes from either side of the road but we have photogenic views of the sand dunes, lake and mountains comes in 60 km from Zhonba. We camp tonight in Paryang. Today's drive involves crossing of several sandy rivers (Most rivers have bridges now) but has some of the most panoramic scenery of the trip. We cross a high pass of Mayum-la (5216m/17108ft) .Our crews will set up camp by the sacred Manasarovar Lake -which according to Hindu mythology was formed in the mind of Brahma-the creator of the world. Today, we will have the first glance “Darshan” of holy Mt. Kailash from Horqu. Most travelers camp here in Horqu due its close proximity to the trailhead. Altitude: 3650m, distance 270km, 7-8 hrs. We have a long day drive along rough road that first climbs over Jingla pass (5100m/16728ft), from where we will enjoy a unique view of the unique landscapes. Onwards, the the road zigzags down into a series of gorges and climbs up the other side before eventually making a long winding and very rough descent down a fantastically eroded gully where the hills on the both sides are worn into incredible shape. The side valley emerges into the wider Sutlez Valley and after crossing a bridge, the road finally reaches the oasis like town of Zanda, also known as Tsamda. Overnight guest house. Day 12: Visit Tholing and Tsaparang-the ruined capital of ancient Gugey Kingdom. We explore Tholing and neighboring Tsaparang (20km east of Tholing) which are the ruined former of Ngari-West Tibet. Tholing, which was once the most important monastic complex in western Tibet, is a awesome sight. Below stands the first capital of Guge whilst the skyline comprises a vast sweep of the Ladakh Himalaya. Guge's later capital at Tsaparang is of even greater significance in the history of Buddhist art, its fantastic wall murals displaying evidence of close links with Ladakh and Kashmir. We will rediscover the cave dwellings, secret twisting paths tunnels linking the palaces. Day 13: Drive back Manasarovar lake 310km driving 6 hours. Altitude 4560m. Drive to Manasarovar 330km 7 hours. We have additional day in the lake Manasarovara for acclimatization, rituals and exploring the lakeshores. 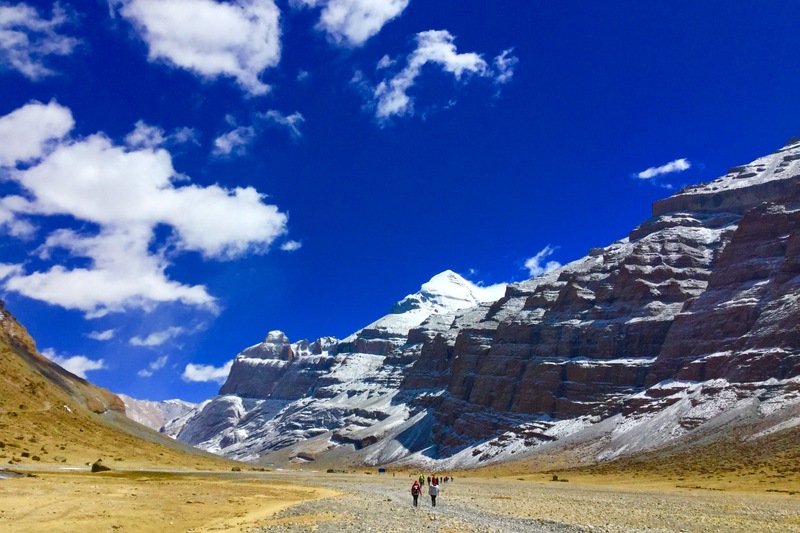 Chiu Gompa monastery has the fabulous location atop a craggy hill overlooking the sapphire blue lake Manasarovara and offers spectacular views of lake and on a clear weather day, Mount Kailash. Pilgrims perform rituals and take a dip in the holy waters of the lake and clean the sins of lifetime! Hindu travelers will even care to collect some water in the bottles and bring back home for their families and friends. There are some optional hiking possibilities as well. After breakfast, we check out hotel and visit the famous Tashi lhunpo Monastery Tashi lhunpo Monastery is the principal seat of Panchen Lama-the second most revered religious leader of Tibet after Dalai Lama. We cross two gentle Drive back to Lhasa via north road 280km driving 6 hours. Day 17: Drive to airport End of Tibet tour. group pick up at Lhasa Airport and transfer to hotel,rest in Lhasa to acclimatize the high altitude. Morning visit Potala palace, the seat of the both religion and politics in Tibet. It was built in the 7th century by Tibetan king Songtsen Gampo and later renovated by the 5th Dalai Lama in the 17th century. Afternoon visit Sera monastery 5 kilometer north of Lhasa City, it was built in 1419 by Jamchen Choejie, a disciple of Tsongkapa, and the founder of the Gelugpa sect. Sera are one of the three major monasteries of yellow sect in Tibet. 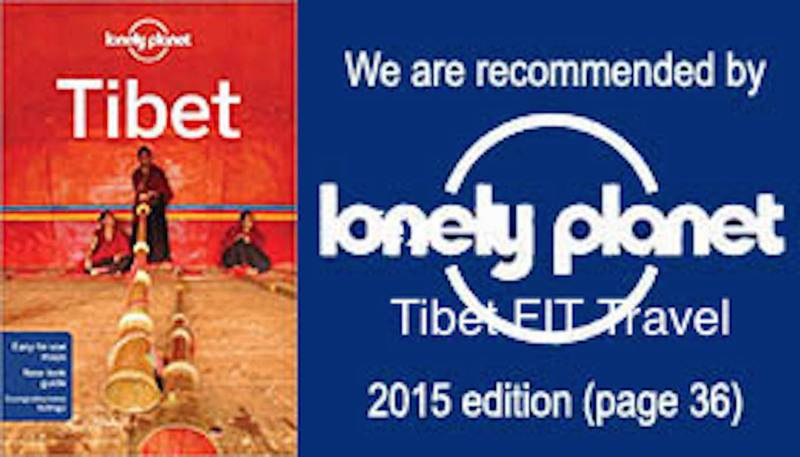 Today, you will explore Tibet's two greatest monasteries, Drepung and Sera. which once housed about 10,000 monks. Drepung monastery is situated at the foothill of a mountain and was founded by Jamyang Choeje in 1416. the monastery is divided into two different colleges that is Drepung loselling and Drepung Gomang college. The Ganden podrang is famous among them as it is the government centre during fifth Dalai lama and later moved to the famous Potala palace during the fifth Dalai lama. Afternoon visit Sera monastery which was founded in 1419 by Tsongkapa's disciple Jamchen Choeje. The whole monastery is divided into two colleges and there are Sera 'Jie' and Sera 'Mei' respectively. Among them 'Tsokhangchenmo' where the monks from all the colleges assemble and pray together there.you can also see monks debating there in the courtyard afternoon section. and Sangha. It was built in 8 Century by Tibetan King Tsesong Detse. Day-05 Samye-Shigatse via Yamdrok lake and Shigatse. SAMYE-GYANGTSE-SHIGATSE,crossing over high passes like (KAROLA-5050m) GAMBALA-4750m)Yamdrok Lake-4340m) and the Tibetan lifeline river YARLUNG TSANGPO. Drive westwards the Friendship way to Tingri. There is about 90km bumpy road from Tingri to Rongpuk, road is under construction. From Tingri to E.B.C with the very rough road, pass the wild grassland, cross the rapids river and high mountains. If it is in clear whether, you can have a glimpse of 4 mountains which is 8000m high or more, such as: Mt. Lhotse(8516m),Mt. Everest (8848m), Mt. Qowowuyag(8201m),Mt Mayalu(8463m). Early in the moring to see the sunrise from Rongphu then to view Mt. Everest. It is fabulous and splendid. Then we can take western Tibet road from EBC to Sagar. through it is quite a long driving, the newly paved road can help us driving faster and safer. Then you are moving towards the Drongpa county, the region around the sources of Brahmaputra river,which is about 167km from the sagar town. then you will reached a tiny dusty on the main road with a couple of basic guest houses, restaurants and a small monastery called "old Drongpa" Around the monastery you can see a pile of yak heads which is carved with "sutras"and "mantras" like "OM MA NI PAD MEY HUM" which is mantra of god of compassion. And new Drongpa is a small town with a couple of shops, hotels and restaurant is about 25km apart from the old drongpa.then forward towards the Baryang with 4750m above sea level. Drive to Lake Manasarovar. Day 2: The second day is the hardest and most tough circuit with the Dolma-la pass lies 6.4km ahead but 762m above Drirapuk. The peak of Dolma-la pass is about 5630m above sea level, so it is better to set off early in the morning as the sun's rays break over the ridges above. After taking a rest on the peak of Dolma-la pass, you will decending staircase brings you to Lhachu valley floor, about onehour from the pass. From here it is still four hours trekking to the day's final destination with no shelters in between. It is better to walk on the rightside of the river and finally reached to Dzultripuk(miracle cave of milarepa). It is advised you to get there before than other groups because of limitted number of rooms available there in Dzultripuk. Take a good rest in the guest room and prepare for next morning's departure. The tour guide will arrange yours time and ask he/she to visit the caves and visit the tmple and shrines that has been built around Milarepa's cave. The walk back to Darchen is easy and the exit from the valley can be reached within three short hours. At the ending point of valley, the drivers will come to pick you and take you back to Darchen. It is about an eight hours drive from Darchen to zanda, though the distance is only about 243km from darchen. After several hours of zigzagging down and up fantastically eroded gorges and gullies, enters to wider Sutlej Valley and after crossing a bridge, finally reaches Zanda.Tsamda county is the current name for the region and was known as Guge kingdom. And the county capital is located at Toling. Toling monastery, founded by Richen zangpo in the 10th century, was once Ngari's most important monastic complex. It was due to the influence Richen Zangpo that Toling became the main religious centre of Guge kingdom after inviting of the great indian master ATISHA. The kings of GUGE replaced the city as a political centre of power by establishing capital slightly closer to the Indo-tibetan trade routes. But the monastery is still important cultural heritage of Ngari. Experience various landscape on the way to Ali, the capital of Ngari prefecture where nothing special to visit but is good place to clean up yourself. Indus river is drived from mount kailash and flows through this region and finally towards into Pakistan. It is a mordern city with centre of administration, business and shopping. Continues to Pangongtso Lake. you can isit the mysterious lake pangongtso which the one part of lake is inside tibetan area and other part is situated inside Indian territory. Day-15 Pangong-tso - Dorma - Dahongliutan, 433km driving,Tialongtan-la pass more than 5000m(B) The road condition is very bad as moving far towards north and on the way to dolma, the road condition become more difficult after leaving dolma. The roads have been distruben by the heavy trucks and soon reach a pass called Tialongtan-la pass with more than 5000m above the sea level. After than its still 7-8 hours way to reach Dahongliutan. Day-16-Day 17 Dahongliutan to Yecheng, 499km, Kunlun and Karakorum mountain range (B) You need to drive 499km to reach Yechen from Dahongliutan, but the journey duration depends upon the climate and road condition. Then you will in contact with beautiful Kunlun mountain ranges on the rightside, the Karakorum mountain range on the left side(more close to indian border). Yours trip begin to cross the Kunlun mountain range soon after passed by Mazar. The chiragsaldi is the last pass that you need to cross and steep down towards the Yecheng ravine to Xingjiang. Yecheng is situated at at the edge of the Taklamakan is a city with a pretty Bazaar inhabited by Uigur and Han Chinese.